Smoothie stacks are a ‘thing’ now. I discovered this while looking at pictures on Instagram one day. As someone who could drink endless smoothies of nearly any flavor and a person who loves food that is super visually appealing, they immediately intrigued me. 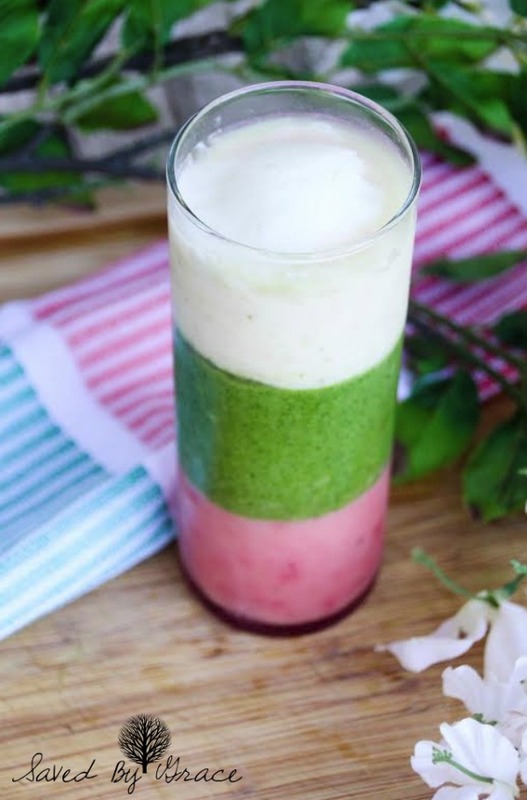 A smoothie stack is basically a layered smoothie with different flavors for an amazing flavor combo that will give you layers of taste as well like never before. How did they get them to look this way, though? I asked Derrick of A Worthey Read and The Earlogy Department to create a smoothie stack that kills it and as always, he came up with a beautiful one that tastes as good as it looks. 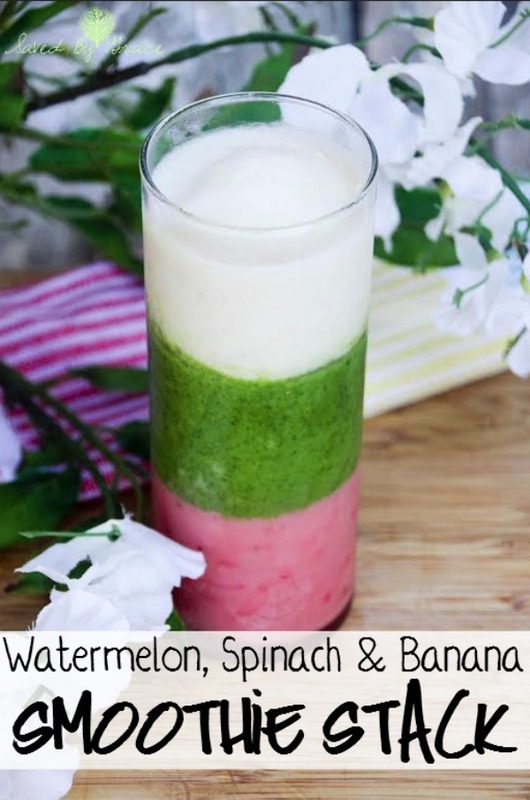 Check out his directions to create this beautiful Watermelon, Spinach and Banana Smoothie Stack Recipe. 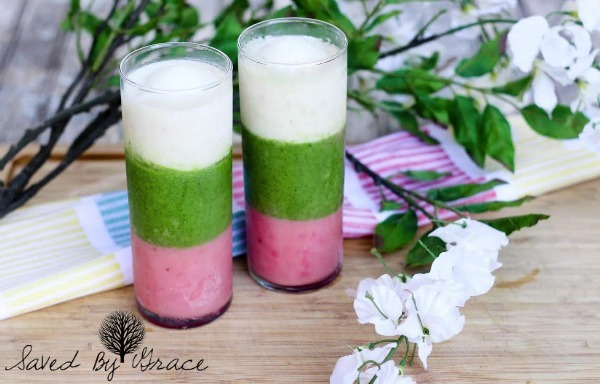 This recipe requires three separate smoothie recipes which are layered into a single glass to produce a tasty and visually appealing smoothie. While it can be something that takes extra time, it is a very delicious treat that would be perfect for weekends. Using a blender mix each smoothie individually and pour the contents of each into small cups or glasses. 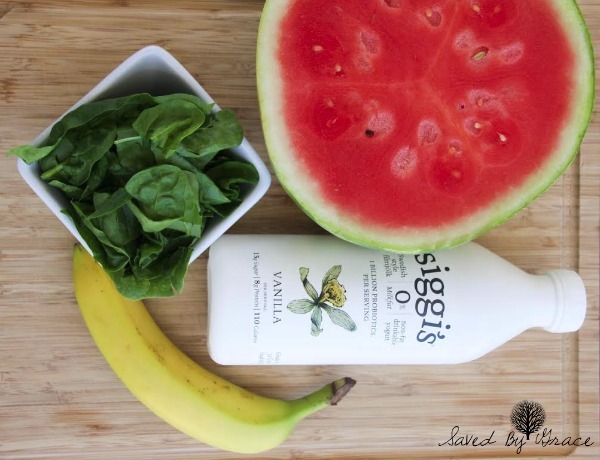 Pour two (2) ounces of the watermelon smoothie into a Mojito type glass or a Mason Jar. Place the glass into the freezer for 15-20 minutes or until mixture is set. Remove the glass form the freezer and add the spinach smoothie mixer. Return the glass to the freezer for 15-20 minutes. Prepare the final layer using the banana smoothie. Return to the smoothie mixture to the freezer. This recipe makes 1 smoothie, but since it takes so long, I suggest making several and sharing them with your friends and family. They have lots of good stuff in them like oats, yogurt and fresh fruit so they are a perfect breakfast as well. Not only that it looks beautiful but looks delish too! I want one now 🙂 I will be featuring you for tonight’s party, Thank you so much for linking up over at #healthyliving link party. Hope to see again, pinned!